Natural stone has taken over the conversation for countertop materials, but before you go ahead with any installation, take the time to carefully evaluate what is the best option for your home. If your opinion of laminate countertops is based on the existing product that was installed in your Tulsa area home a decade or more ago, you may be surprised about enhancements that have been made. If you envision laminate with a simple square edge, you will appreciate that you can know choose the edges on many products. 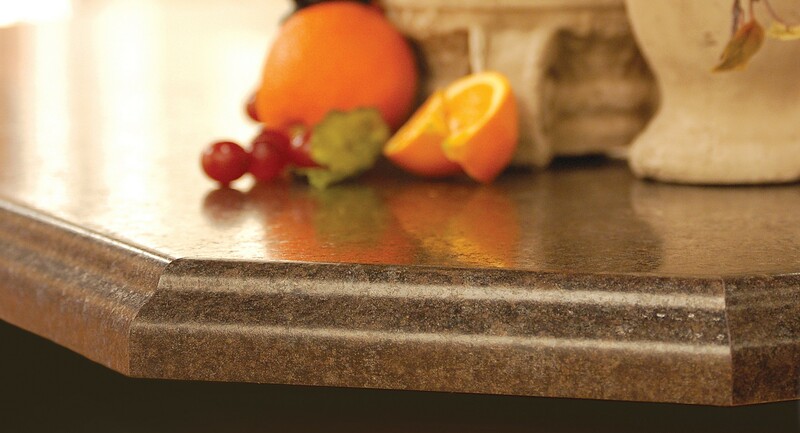 With options including rounded or beveled edges, these countertops have come a long way in how they can be installed. If you like the look of clean lines, the enhanced straight edges of today can have a dramatic impact as well. If you envision laminate countertops to be solid color, boring products, prepare to be a little overwhelmed in the options now available. There are not only numerous colors, but now many of the patterns mirror the look of stone. From basic to bold, there are numerous choices, that not only have a stone appearance, are constructed to match how stone would look in your kitchen. Some of the most stunning looks on the market today can transform a space, but come with required maintaince. If you are looking for easy to clean, kitchen countertops, laminate remains among the easiest to maintain. While there is a price variance between basic laminate and designer options, the overall cost is generally lower than many of the stone materials on the market. Consider what you save on countertops, and how you can use those funds on other features such as a backsplash or flooring to complete the room. Like any project, working with a knowledgeable professional can help guide you through the process. Whether you decide laminate countertops are just what you are looking for, or you opt for natural stone choices, the team at Timco has both the product knowledge and professional installation to help you transform your space.